The issue of collective and multiple property rights in animals, such as cattle, camels or reindeers, among pastoralists has never been a subject of special cross-cultural and comparative study. 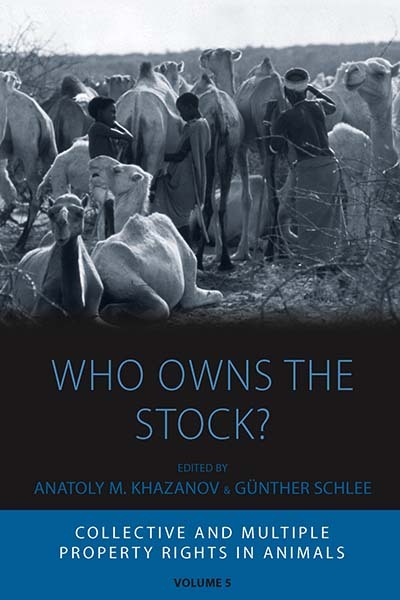 Focusing on pastoralist societies in East and West Africa, the Far North and Siberia, and the Eurasian steppes, this volume addresses the issue of property rights and the changes these societies have undergone due to the direct or indirect influence of modernization and globalization processes. The contributors also investigate the interplay of older sets of rights and modern marketing policies; political, ecological and economic effects of collectivization and de-collectivization; the existence of collective and private property in the Soviet Union and its successor states; state taxation and destocking measures in African dry lands; and the effects of quarantine, as well as import and export regulations. The rich and well-researched ethnographic, historical, and economic data in these chapters provides new theoretical insights into the matter of property rights in animals. Anatoly M. Khazanov is Ernest Gellner Professor of Anthropology (Emeritus) at the University of Wisconsin-Madison. His publications include Nomads and the Outside World (1st. ed. Cambridge University Press, 1984) and After the USSR: Ethnicity, Nationalism, and Politics in the Comonwealth of Independent States (University of Wisconsin Press, 1995). Günther Schlee is Director at the Max Planck Institute for Social Anthropology in Halle. Until 1999, he was a Professor for Social Anthropology at the University of Bielefeld. His publications include Identities on the Move: Clanship and Pastoralism in Northern Kenya (Manchester University Press 1989).